Charles Schulz ''Peanuts'' Sunday strip from the classic storyline ''It's the Great Pumpkin, Charlie Brown.'' 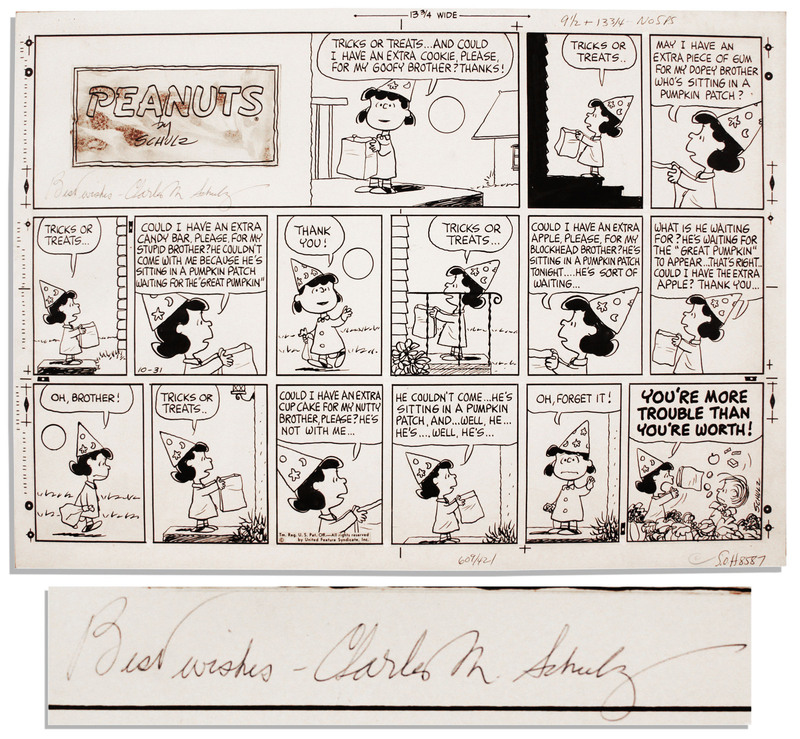 The 15-frame strip comprises the hilarious trick-or-treat sequence in which Lucy attempts to collect Halloween candy on her brother Linus' behalf. At every doorstep, the put-upon Lucy becomes less able to conceal her exasperation with Linus, who has forgone trick-or-treating to commit himself to a pumpkin patch vigil, waiting for the mythical ''Great Pumpkin'' to appear. Strip originally appeared on Halloween, 31 October 1965. 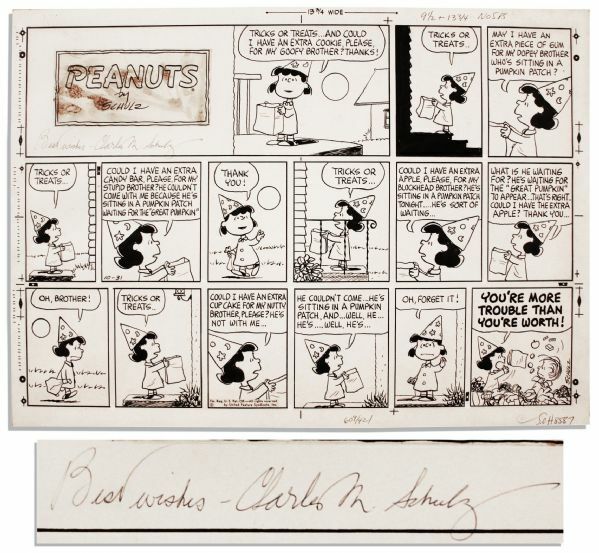 Schulz' autograph inscription beneath the title reads: ''Best Wishes - Charles Schulz'' in blue ink. United Features Syndicate label is affixed to 12th panel, although the year has been cut out. Measures 24'' x 17''. Toning, with notations to border from production. Very good condition. Auction closed on Tuesday, October 23, 2012.